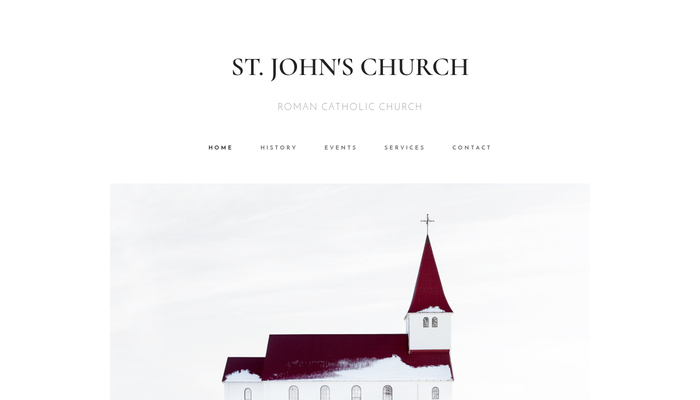 Choose this eye-catching template to create an appealing website for your church or religious organization. 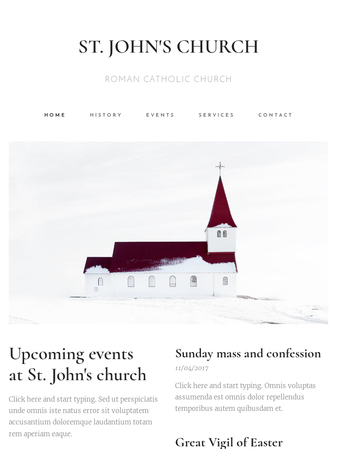 The simple and clean layout makes the template visually attractive and useful for both the members of your congregation and new visitors. All core functions such as the service schedule, up-to-date calendar of church events, brief history of your church and contact details are easily accessible.